New strains of diseases that are almost impossible to cure are surfacing in the civilized world, especially among young generations. Illness of modern life-you heard it, don't you? About 8 years ago when the PYRO-ENERGEN came out on sale around the globe through the internet, I saw a TV news program alerting that a college student came to an ear specialist. The attending doctor shook his head because he couldn't find the reason or cause of the young patient who was losing his hearing capability rapidly. The young man visited several hospitals seeking for help, because he nearly lost his hearing capability. Responding to the TV news, one of private research institute offered to study the young man in exchange with publication in a certain company advertisement. The research group conducted the case and concluded that the college student was a music lover who was using high fidelity loudspeaker amplifiers. Since the time he enjoyed listening jazz and pop music with the latest model of amplifier, he became the victim of modern life. Some amplifiers produce strange sounds or frequencies that destroy several parts of the body. Once again, the news went around and many inquires came to several research groups. Yes, we knew now that many headphone users among music lovers are reportedly having some hearing difficulties. We believe that some frequencies and loud sounds coming from the earphones make the eardrum to be thickened reducing hearing capabilities. 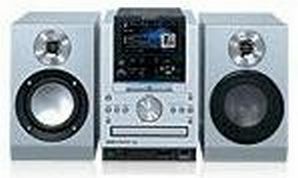 Most patients who have difficulties in hearing are due to them using portable music players like the above photo, especially at high frequency and middle frequency of about 400 Hz and lower frequency of about 100 Hz below. We understood that eardrums do not respond nor vibrate due to the thickening of eardrums, and this is one of the new strains of illness in modern age. There is nothing wrong with portable music players. It is only because users set their music players to a high volume that can destroy their eardrum. That is how doctors comment. However, in some cases of music lover who lost almost all his hearing capability was not only because of loud sound. Some loud sound Hi-Fi amplifiers produce strange sounds or frequencies that destroy not only eardrums but also internal organs. Do you believe that? Music lovers suffering from liver disease, kidney disease, stomach trouble, heart disease, and mental disorder at the ages of high school student to young office workers are increasing. We do not have any definite answer about this report. Among users of air conditioners – fatigue, insomnia, headache, mental disorder, liver trouble, kidney trouble, and stomach trouble, are reported. Research groups reported that some air conditioners produce very low frequency lower than 30 Hz which might be making these ill-sorted body conditions, according to their studies. These are all due to civilization of the world and modern living, aren't they? Let us go back to the life in nature, can we?